Welcome to my Blog. I have a bit of a squirrel mentality. I love to be creative, but I do tend to get distracted easily. Although this blog focuses mainly on paper crafts (I am an independent consultant for Close to my Heart) I am also the proud owner of Shirley's Flowers and Friends in Beautiful Three Hills, AB. I hope my posts, inspire you to be more creative, and bring a smile to your face. And if you're ever in rural Alberta stop in at the shop. 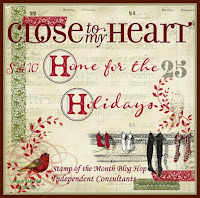 Welcome to another Close to my Heart--Stamp of the Month Blog Hop. The beauty of a hop is that you can visit numerous blogs and see how one stamp set can be used in multiple ways. It's easy to do. Just click on the name at the end of each post and you will "hop" to the next one. If you came from Pam's awesome blog, you know how this works, if not, let your journey begin. This month has been super crazy busy for me. So all I have to offer is this card, which literally took me minutes to create. Now hop over to Regina's , to see more fabulous artwork. Thanks for stopping by. Please leave a comment. I love to hear what you think. 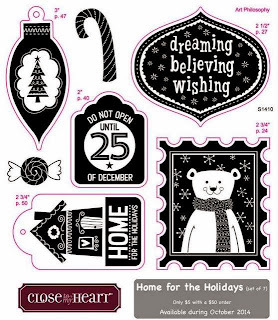 It's so nice to see this stamp set being used with non-holiday papers! love the colour combo, well done! Thanks, I feel like I've cheated this month, only doing one card. However, if you check back in a couple of days you will see what I have been busy at. It's fun to see Chalk It Up with the cute card of yours! Fabulous card with the chalk it up. Great work.....can't wait to see what you have been up to. So fun with Chalk It Up! The card looks great with Chalk It Up. Very nice card, I can't get enough of that cute bear! please click on my shopping link at the side. Follow Terry's board My creations--mini books and scrapbook pages on Pinterest. And thanks for looking in. and make it our own. and I ask that you don't copy or re-create any of the artwork posted on here for submissions to contests, publication or profit. I would appreciate a nod in my direction if you use my designs (especially if you copy them step by step . The Road to Peace of Mind or Escape? During most days, I can be found in Three Hills, AB, serving up a cup of espresso at Shirley's Flowers and Friends.